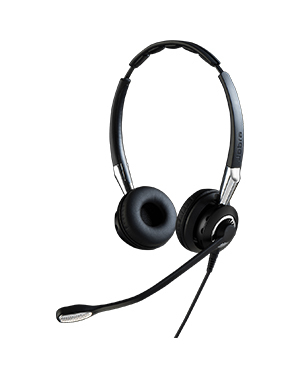 This Jabra BIZ 2400 II Duo QD Headset is a professional and innovative headset that uses Mic. 72 ultra noise cancellation. This headset is one of the models that have been improved in the entire phone series. 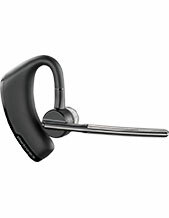 Jabra BIZ 2400 II Duo QD Headset offers both the performance and comfort that the professional set-up needs in their operations. 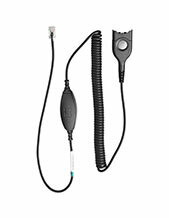 It is a comfortable headset for agents that would need to use them for a long period of time. Learn more about this top-notch headset today by calling our Australia wide 1300 131 133 hotline! Jabra Corporation is a popular global enterprise that takes care of the sound and audio needs of business and organisations all over the world. The company engineered their technologies and devices to be able to improve the lives of people, whether it is their leisure or professional lives. There are a lot of advantages that these products from the company provide, including better quality of music and calls, flexibility at work, and better comfort even when using headsets all day long. Jabra, headquartered in Copenhagen, Denmark, is an expert in several fields of specialisations, including Bluetooth connection, true wireless, speakerphones, wireless connections, headsets and headphones, audio, calls, and music. Jabra operates under the banner of ‘Sound that’s engineered for you’, which basically promises unique, customised, and high audio quality to customers. Its sound solutions are incredibly innovative, which improves the audio and sound experiences of customers all around the world. Headsetsonline Pty Ltd offers one of the largest portfolios of audio and sound devices, solutions, and services. The company’s products are offered in various conditions, including brand new, second-hand, and refurbishd conditions. 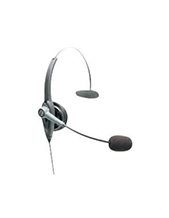 It is a known division of a popular company that has been in the market since the year 1998 and since then has provided corporate and government sectors with headsets and speakers. Headsetsonline Pty Ltd is an Australian enterprise that supplies and while sales corded and wireless headsets, speakers, and speakerphones. It offers an extensive product portfolio with products covered by warranties accepted in Australia. Supplied by Australian distributors and not grey imports, the company’s products are all certified to pass Australian standards. This is how the company makes sure that all of its offers are of high quality and can provider irreplaceable audio experience. All of the ordered products are also delivered with flat shipping rates Australia wide.